Niki Lauda is "determined" to try and make it to the last race of the season in Abu Dhabi, Helmut Marko has revealed. Lauda is unable to walk at the moment following his recovery from a lung transplant earlier this year. The three-time world champion fell ill whilst on holiday in Spain in the summer; and was taken to hospital in Vienna later on to undergo an operatiom. The doctors revealed that Lauda would have died "within days" if he hadn't have taken the lung transplant. Lauda was released from hospital last month, but Vienna General Hospital stated last month that his rehabilitation would remain "intensive". Bernie Ecclestone revealed recently that Lauda has set himself a target of getting to Abu Dhabi for the last race of the season and Red Bull boss Marko has explained how he will do it. "I talked to Niki. And he is determined to make his comeback in Abu Dhabi," Marko explained to Blick. "He has already organized a doctor to accompany him. 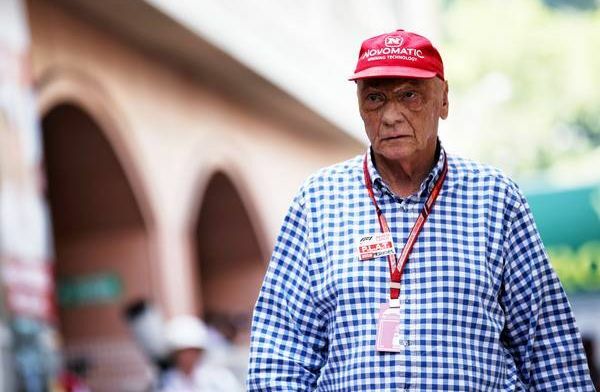 "At the moment, Niki cannot even manage a step without help. He could not even hold a walker (walking stick). But we know him. When he sets a goal, he goes for it mercilessly. "As in 1976, after the fire accident on the Nurburgring. His burned body cried out in pain for rest, relaxation and patience. We know after 40 days he trained in Monza in a Ferrari. After 42 days he finished fourth at the Italian Grand Prix. "It was one of the biggest comebacks in sports history. And that's why I trust Niki in everything. The madness will accompany him to Abu Dhabi!"